A large number of entries have been added to the Complete 9/11 Timeline at History Commons. Many of these examine the response of American Airlines to the hijacking of Flight 11, the first plane to hit the World Trade Center on September 11, 2001. Entries focus, in particular, on phone calls made from Flight 11 by two of the plane's flight attendants: Betty Ong and Amy Sweeney. 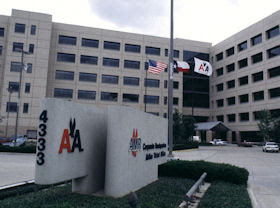 A new timeline entry describes how Peggy Houck, a dispatcher at the American Airlines System Operations Control (SOC) center in Texas, received her first indication of a problem with Flight 11 when another American Airlines flight contacted her at 8:20 a.m. and said air traffic controllers had asked it to try to contact Flight 11.